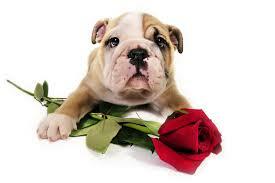 Happy Valentine’s Day from Allergic Pet! Dogs make wonderful pets for children. Not only can dogs be a loyal friend and playmate, but they can also help children learn important characteristics, including responsibility, love and loyalty. Since different dog breeds possess different traits and personalities, it’s important to find a breed that is suitable for children. The following are excellent breeds to consider if you want a pet for your kids. Golden retrievers are gentle, docile dogs that love to please their owners, making them a great breed for families with kids. This laid-back breed tolerates a kid’s antics, such as ear or tail pulling, and goldens are patient and affectionate. Bulldogs are sturdy, tough dogs that make perfect pets for children that like playing rough. These dogs are friendly and docile and they get along with other dogs and animals, making them perfect for families that want more than one pet. 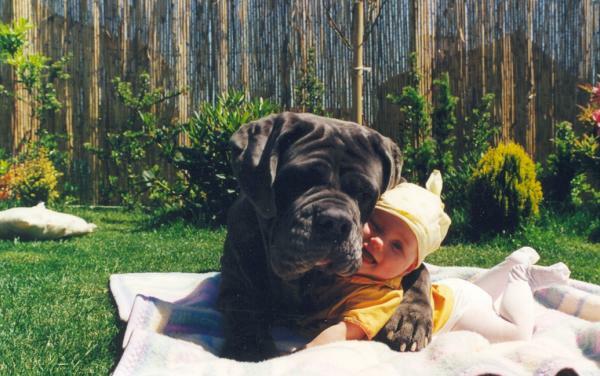 These gentle, large, furry dogs have the nickname, “Nature’s Babysitter,” because they love kids. They are protective of children and very patient with younger children. These dogs are natural swimmers and they have been known to save the lives of people drowning. The beagle is a playful, cheerful and friendly breed of dogs that fit in well with active children. They require plenty of activity, so they’ll love playing games with the kids. Beagles are sturdy dogs that get along well with other pets, although they do require regular bathing and brushing. Collies are affectionate and mild-mannered and they are very loyal friends to children. They consider family members a part of their pack and they often become protective of their owners. Collies are often wary of strangers, making them great protectors and guard dogs for families. While standard poodles look elegant, they have plenty of energy and love to play. Their intelligence and willingness to please their owners makes them a great family dog. Since they have hair instead of fur, they make a great choice for children that may have allergies. There is no denying the fact that owning a pet can add value to your life. The unconditional love and affection they provide coupled with their adorable antics can make your life rich with joy. This is why many people want to add a second pet to their life. But is this wise? There are a few aspects to consider with this. The first thing you should know is that two pets are more expensive than one. This is because you will have to pay double for food, vaccines, vet visits, grooming and everything else you spend on your pet. While they may be able to share some of their toys, you will need to have more toys for them to play with. Another aspect to consider with this is the amount of attention that will be required with two pets. You will need to give them equal attention so they do not get upset. 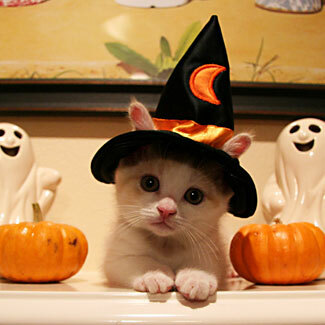 This is not a good idea if you do not have enough time to devote to one pet at the moment. Even if you have a spouse or children who can devote attention, you want to be sure that both animals will get the love and attention they deserve, as it will affect both of them. It is also important that you understand the temperament of your pet. While you may have the ideal vision of your pets playing and napping together like they were twins separated at birth, this may not be how it works out in the long run. If you are not sure how your pet is with other animals, it may be helpful to offer to pet sit for a friend or family member as this will give you a better understanding of how your dog reacts. Having two pets can help to complete your family. However, this is not something that is right for everyone. By considering these different factors you will be able to determine if this is the right choice for your family. Owning a pet is an amazing experience. While you are going to go through heartache and sadness from time to time, the amount of joy pets give you is truly unmatched by anything else. Of course, it is not always possible to travel with your pets, no matter how much you might want to. If you don’t have someone staying at home or a friend who can watch your pet, you need to find the right pet sitter for you and your pet. First, ask your other friends who have pets if they use someone specific for their pet sitting. Chances are you are going to find someone who is able to help you out with this. Whether it is a friend of their family or an actual service, you can find locate several individuals through this who provide sitting services. There are many ways to locate pet sitting services now. This can range from them living in their actual home to more of a kennel setup. Ultimately, it is just going to depend on what you feel comfortable with and what your pet might like. Some pets enjoy being with other animals at the same time while others might work better just in the individual household. These services can help you out. Most importantly, you need to feel comfortable with the individual and the facility. Make sure to schedule a meet and greet and ring your pet along with you. This way, not only you can determine if you feel comfortable with the individual and services they provide, but your pet can feel comfortable as well. It often helps when they see you interact with the individual and meet them ahead of time in terms of their general comfort when you are not around. Bringing your dog to work is a great way to break up mundane routines while giving you a chance to spend time with your best friend while on the job. When you want to bring your dog into work, there are a few tips to help smooth the process of bringing a pet in and introducing it into a new environment. Before thinking of bringing your dog to work, it is essential to get permission from your manager or employer directly. Getting permission to bring your dog to work is important to reduce the risk of bringing an animal into the workplace if you have co-workers with severe allergies or fears. Have your dog vaccinated and get any routine shots that are necessary before bringing him or her to work to minimize the risk of potential injuries or illness to others. Create a safe space for your dog at work by bringing blankets, toys and special treats from home to help make him or her more comfortable. Having a designated area where your dog stays throughout the day can also help you to keep a better on on him at all times. Bring treats, food and a fresh supply of water along with toys to keep your dog happy without bothering others while you are working. Any time you plan to take your dog where other individuals are present it is necessary to feel comfortable enough with your animal in social environments. Ensuring your dog is well-trained for social environments is possible by taking him for walks, to public parks and introducing him to large groups of people before bringing him into work. Knowing how to bring your dog to work without a hassle is a way to reduce the risk of embarrassment or being told to return your dog home once you are actually working. The more familiar you are with your dog’s habits, behaviors, and abilities to interact with others, the easier it is to gauge whether or not he or she is ready to go to work with you. Puppy mills have received a lot of media attention in recent years, but it can still be difficult to avoid them if you’ve never purchased a dog before. Puppy mills are notorious for breeding as many puppies as they can and making the animals live in horrible conditions. Here are some helpful tips to avoid buying a dog from a puppy mill. A pet store might seem like a safe place to get a puppy, but many of these stores receive puppies from puppy mills. They can buy the pets really cheap from these mills and then sell them for a much bigger profit. 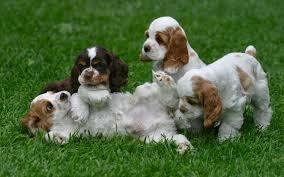 If you plan on buying a puppy from a breeder, visit the breeder’s facility beforehand. Make sure the facility is clean and the dogs have plenty of room to move around. If a breeder seems really hesitant to show you the facility, it is a bad sign. A reputable breeder will want to show you around and make sure his puppies are going to a good home. To be really safe, adopt a dog from an animal rescue center. The people who run these rescue centers have the pets’ best interest in mind. If you follow these helpful tips, you can avoid puppy mills and bring home a healthy pet. Like any other animal in the world, pets need a certain temperature level in order to stay happy and healthy. While some pets have a more robust constitution and can withstand relatively high or low temperatures, dogs and cats with large quantities of fur are more susceptible to heat stroke and need to avoid hot environments. 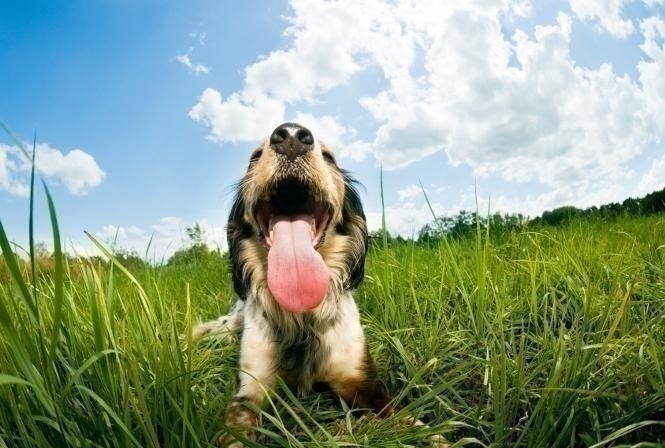 How can pet owners prevent heat stroke? Dogs will always pant in warmer temperatures, but when a dog is panting so hard that they have difficulty breathing, it is a signal that their body has overheated. Likewise, cats may also pant when they’re too hot, or may be sweating excessively on their paws. At the more serious levels of heat stroke, pets will be restless in looking for a cool spot, will have dry gums, and may be dizzy or collapse on the spot. Preventing heat stroke is fairly simple. Never leave a dog or cat in a hot environment, such as a car on a summer day or in an unventilated room with direct sunlight. Always have water on hand so that they can cool themselves down and remain hydrated. If possible, keep a cool area of your house (such as a basement corridor) open to pets at all times. Treat heat stroke by removing your dog or cat from the hot environment and giving them warm (not cool or ice cold) water. Do not force your pet to drink water, and do not let them drink large amounts of water in one sitting or else they can become sick. Put wet towels on your pet’s foot pads. Never use ice to cool down a cat or dog, since this causes blood vessels to constrict. If they do not recover and continue to pant or lose consciousness, get them to a veterinarian immediately.